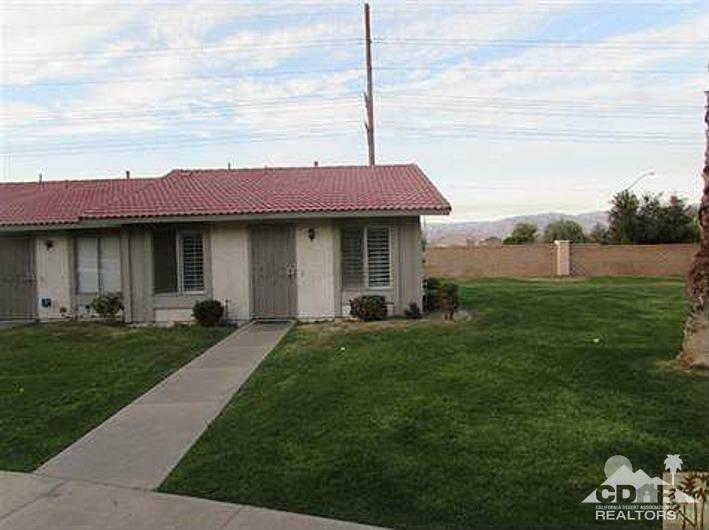 Located in Indian Palms, this END unit condo is perfect. Tile flooring throughout and in great condition. Tenant in place and wants to stay. photos were taken before tenant moved in but in near same condition. Good for investor.2 other condos for sale. Buy all 3 get a GREAT deal!